The ship was supposed to pick them up in Italy. But on Wednesday, the captain and the crew of the ship were detained in Cyprus. Here's everything we do know, so far. In May, far-right Canadian YouTuber Lauren Southern went live on Periscope from a tiny boat on the Mediterranean Sea off the coast of Italy. In her small boat were Italian, Austrian, and French members of a pan-European far-right group called Generation Identity. Generation Identity is part of a larger movement called the Identitarian Movement, which started in France in 2002. The youth organization has chapters in most European countries. Its main focus for the last few years has been opposing immigration throughout Europe — particularly after the 2015 European refugee crisis. Southern and the Identitarians took their small boat out into the Mediterranean Sea and proceeded to shoot flares at a ship called the Aquarius, a 250-foot-long vessel operated by a charity called SOS Méditerranée and Médecins Sans Frontières (also known as Doctors Without Borders). Southern and the members of the group were briefly detained by Italian police after the stunt. The point, however, was to promote their crowdfunding campaign called Defend Europe, which as of this month has raised $100,000 in donations. Southern and the Identitarians are pushing a conspiracy theory that nongovernmental organizations like MSF aren’t actually saving refugees at sea, but actually part of an illegal human trafficking operation. According to Southern in June, once the group had secured a ship, they would return to sea and stop NGOs from bringing refugees to Europe. “We're buying bigger boats, more boats, nets to potentially stop the motors if there are smaller boats going out to Libya and over the next few months we're just going to be sending out more and more crews that I think will legitimately be able to stop these boats from going out, these NGOs,” she said. After the stunt in May, a spokesperson for MSF told BuzzFeed News that nothing Southern was saying made any sense. “We have nothing else to say on the matter, as we do not wish to engage in a media war with far-right activists,” the spokesperson said. Southern said that once the Defend Europe campaign — led by an Austrian identitarian named Martin Sellner — had raised enough money to buy a ship to go back out to sea, she would return to Sicily. In July, Defend Europe’s crowdfunding campaign raised enough money to get ahold of a ship. But that’s when things started getting really confusing. Sellner confirmed for BuzzFeed News that they have a 40-meter-long ship called the C-Star. It’s sailing under the Mongolian flag and earlier this month, it left Djibouti for Catania, Italy. A UK anti-extremism NGO called Hope Not Hate said that the boat is owned by a Cardiff-based company called Maritime Global Services, Ltd. The director of Maritime Global Services is Sven Tomas Egerstrom, who told Hope Not Hate that he was aware of Defend Europe’s intentions when he allowed it to charter the ship. "I don’t see any problem with the vessel being in the area conducting legal research," Egerstrom said. "We won’t let our vessels get involved in any form of illegal activity at all, and if the vessel is involved in illegal activity we fully expect the authorities to deal with that." With a ship now under their control, Southern and the Identitarians returned to Sicily, where they’ve been based for the last few weeks. 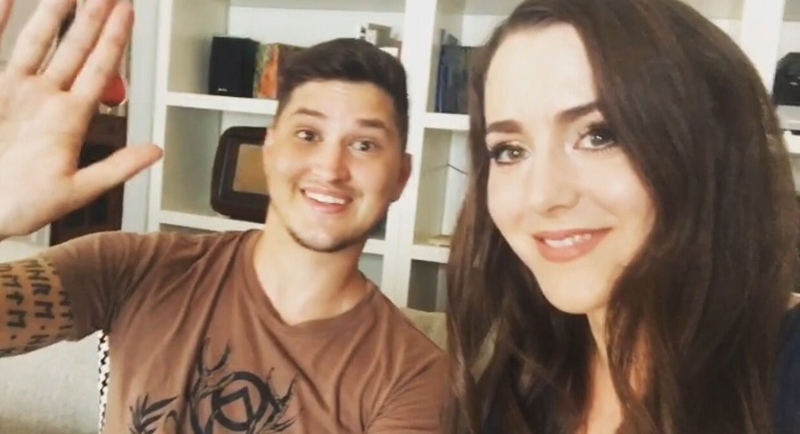 Joining Sellner and Southern this time is an American far-right YouTuber named Brittany Pettibone. Southern, Sellner, and Pettibone have been vlogging regularly from Catania as they wait for the C-Star to make it to Italy. Southern has also stated numerous times that while she is with the Identitarians in Sicily and fully supports the Defend Europe campaign, she has no official involvement in it. Also briefly joining the group was Mail Online columnist Katie Hopkins, who was slammed in the UK press for traveling down to Sicily last week and posing for selfies with the Defend Europe crew. The C-Star seemed to be traveling smoothly, until last week, that is, when it was detained in the Suez Canal. On July 20, Hope Not Hate reported that the boat was being held in Egypt by the Suez Canal Authority. After several days stuck in limbo in Egypt, the C-Star entered the Mediterranean — only it didn’t go straight to Catania. 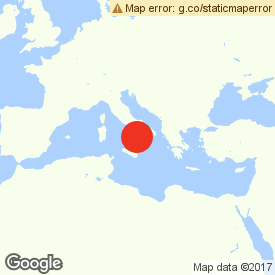 Since Friday, it’s been parked off the coast of Famagusta, Cyprus. According to the highly unreliable Defend Europe Twitter account, the boat is refueling. The situation back in Catania appears to be getting more and more frustrating for Southern, Pettibone, and the Identitarians, however. The mayor of Catania, Enzo Bianco, released a statement last week calling the far-right activists vigilantes and vowing to stop the C-Star from entering Catania’s port. Over the weekend, Patreon — a site that allows people to fund "artists" — banned Southern and Sellner's accounts, which are a main source of their income. And on Monday of this week, Pettibone tweeted that she and Southern were having to wear disguises around Catania because they believed police were trailing them. On Monday, Southern told BuzzFeed News that the group were now scared for their personal safety. "There's some serious bullshittery going on here," she said. "There is a safety risk and the media caused this and they may seriously get a bunch of 20-year-olds killed." 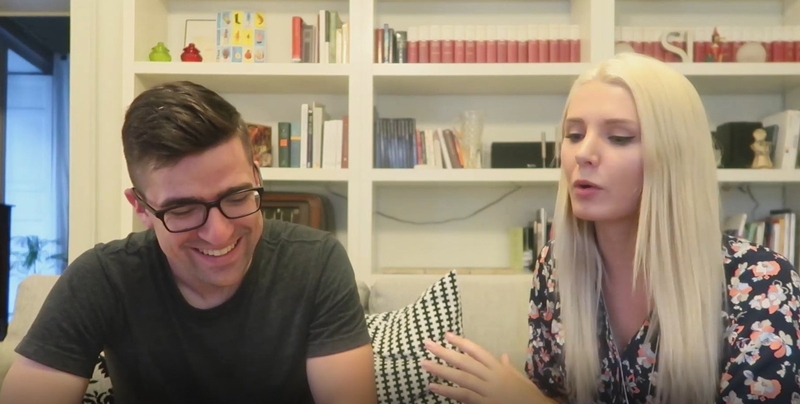 BuzzFeed News attempted to connect with Southern and Identitarians in Catania on Tuesday, but after numerous attempts to contact them, Sellner said over text that the group had actually left Catania temporarily and were three hours south, in Pozzallo. The group appears to be trying to intercept the Aquarius again, the same boat they shot flares at in May. There are still many unknowns about almost everything to do with the Defend Europe campaign. Most importantly, what exactly do the Identitarians plan to do with the C-Star? In May, Southern was under the impression that the ship was going to be used to block and disrupt other ships. That plan seems to have evolved considerably. Publicly, Defend Europe's social media accounts have said that the C-Star's main purpose is to investigate what NGOs are really doing with the refugees they pick up at sea. And in July, Sellner told BuzzFeed News that the plan was to find refugees stranded at sea and use the C-Star to take them to the Tunisian city of Sfax. "Just like the NGOs, we will, first of all, ensure that people are not in danger anymore without taking them onboard. We primarily will try to call the Libyan coast guard, and the Search-And-Rescue Central in Tunisia. If it's necessary to take them onboard, we also took precautions for that case," Sellner said. "But if they really are in nautical distress, why should they disagree when we save their lives and bring them to the next safest port?" On Wednesday, a Cypriot news agency reported that the crew of the C-Star had been evacuated from the boat in Famagusta, on the eastern coast of Cyprus, and that the ship's captain had been arrested. When reached for comment, Sellner confirmed that the ship had been stopped in Cyprus. "It's the same thing like the Suez Canal," Sellner said. "False allegations that lead to repression to delay us. The company will go to court against that." When asked to clarify his comments, Sellner declined. "The Asian training crew who left the ship in Cyprus was harassed at the airport. NGOs tried to convince them to apply for asylum," the group posted on Twitter. 🇬🇧 The Asian training crew who left the ship in Cyprus was harassed at the airport. NGOs tried to convince them to apply for asylum. Defend Europe did not specify what NGOs it was referring to. The C-Star was expected to reach Catania this week. At this point, it's anyone's guess what will actually happen next.